Efthymiopoulos C, Kalapotharakos, C., and Contopoulos, G: 2007. "Nodal points and the transition from ordered to chaotic Bohmian trajectories", J. Phys. A: Math. Theor. 40, 12945. Voglis, Ν., Harsoula, Μ. and Contopoulos, Γ., ‘Orbital Structure in Barred Galaxies’, 2007, MNRAS, 381, 757. G.Contopoulos, C.Efthymiopoulos, Μ.Harsoula, ‘Order and chaos in quantum mechanics’, 2007, “Νonlinear Phenomena in Complex Systems”, Thessaloniki. Contopoulos, I. & Seloulis, C., ‘Modeling the drying of metallic surface polymer solution coatings using commercial CFD software’, 2007, Proceedings of 10th National Conference of Metallurgy with international participation, Varna, Bulgaria. Efthymiopoulos C, Kalapotharakos, C., and Contopoulos, G: 2007. "Nodal points and the transition from ordered to chaotic Bohmian trajectories", J. Phys. A: Math. Theor. 40,12945. Gontikakis, C., Anastasiadis, A., and Efthymiopoulos C: 2007, ‘Particle acceleration and radiation in single and multiple solar current sheets’, MNRAS. 318, 1019. 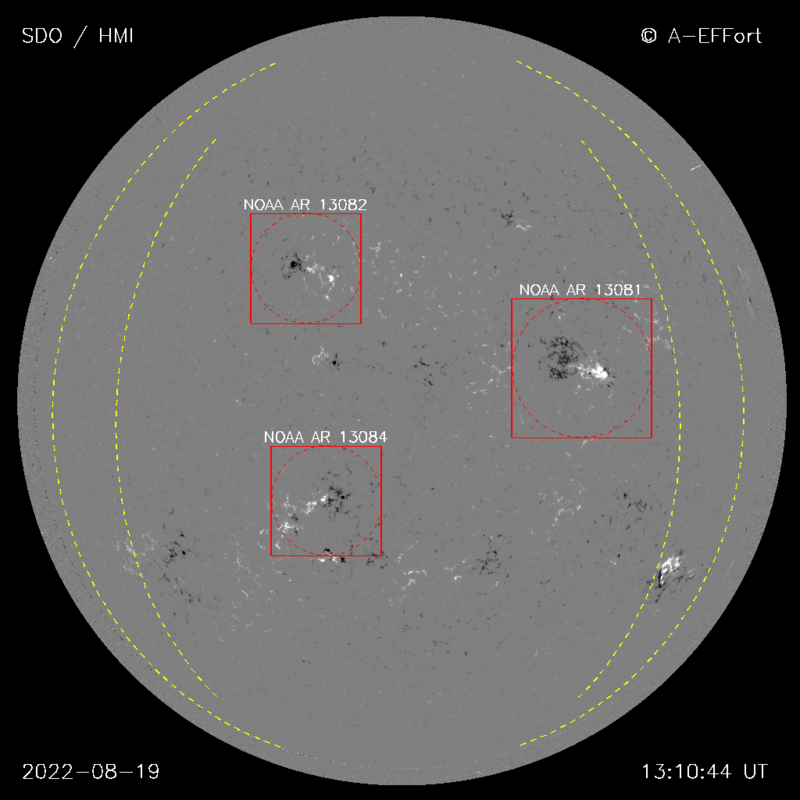 Gontikakis, C., Petrie G., Dara, H., Tsinganos, K., ‘Soho observations of a coronal loop compared with a 2D MHD loop model’, 2007, ESA Publication SP-641 (Eds. E. Marsch et al.) CD-ROM. Plionis M., Basilakos S., ‘Cosmology from XMM High-Z AGN clustering’, 2007, Proceedings of the 6th International Workshop on the Identification of Dark matter, Rhodes, Greece. Contopoulos G. and Patsis P. 2006, in “Astrophysical Disks”, Astroph. Space Sci. Library 237, 131. Efthymiopoulos C. and Contopoulos G., 2006, J. Phys. A: Math. Gen., 39, 1819. Contopoulos G. 2006, Intern. J. Bif. Chaos 16, 1795. Contopoulos G. and Patsis P. 2006, Mon. Not. Roy. Astr. Soc. 369, 1039. Voglis N. and Kalapotharakos C. 2006, “Astrophysical Disks”, Astroph. Space Sci. Library 237, 157. Mon. Not. Roy. Astr. Soc., 373, 280. Livadiotis G. and Voglis N., 2006, J. Phys. A: Math Gen., 39, 1. Basilakos S. and Plionis M. 2006, Mon. Not. Roy. Astr. Soc., 373, 1112. Indoor and Built Environment, 15, 365. Contopoulos G. 2006, in “Climate change” Colloquium, Athens, June 15, 2006. Contopoulos, G. and Patsis, P. 2006, Proceedings Symposium “Rotation of celestial bodies”, Namur, 1-2 December 2005. 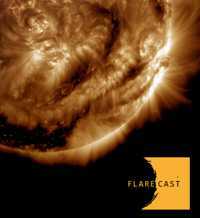 Can Chaotic Motion be Responsible for the Formation of Spiral Arms? Voglis N. and Stavropoulos I., 2006, in “Recent advances in Astronomy & Astrophysics”, proceedings of 7th Hellenic Astronomical Conference, N. Solomos (Ed), AIP Conference Proceedings, 848, 657. Gontikakis C., Efthymiopoulos Ch. and Anastasiadis A., 2006, Recent Advances in Astronomy and Astrophysics 7th International Conference of the Hellenic Astronomical Society. AIP Conference Proceedings, 848, 88. V. Tritakis, H. Mavromichalaki, G. and Giouvanelis, 2006, Recent Advances in Astronomy and Astrophysics 7th International Conference of the Hellenic Astronomical Society. AIP Conference Proceedings, 848, 154. Alissandrakis C. E., Zachariadis Th. and C. Gontikakis, 2005, in Proccedings of the 11th European Solar Physics Meeting “The Dynamics Sun: Challenges for Theory and Observations, 11-16 September 2005 (ESA SP-596, 2005). A. Paliatsos, P. Nastos, G. Korbakis, Yu. Pisanko and V. Tritakis, 2006. Proceedings of the 7th International Conference of Meteorology, Climatology and Atmospheric Physics, ??????? 470-477, Nicosia, Cyprus, September, 2005. P. Nastos, D. Panagiotakos, A. Paliatsos, V. Tritakis, A. Bergiannaki, K. Psarros, P. Paparigopoulos , and K. Stefanis, 2006, Proceedings of the 7th International Conference of Meteorology, Climatology and Atmospheric Physics, ??????? 989-995, Nicosia, Cyprus, September, 2005. "Chaos in the case of two fixed black holes"
Contopoulos G. and Harsoula M. 2005, J. Math. Phys., 45, 4932. "Chaotic motions in the field of two fixed black holes"
Recurrence of order in chaos"
"Global dynamics in self-consistent models of elliptical galaxies"
"Formal integrals and Nekhoroshev stability in a mapping model for the Trojan Asteroids"
Galactic vortices, Contopoulos G. and Patsis P. A. 2005, in A. M. Fridman, M. Ya Marov and I. G. Kovalenko (eds): "Progress in the Study of Astrophysical Disks: Collective and Stochastic Processes and Computational Tools'', ASSL series, 2005, Kluwer Academic Press (in press). The role of order and chaotic motion in N-body models of elliptical galaxies, Voglis N. and Kalapotharakos C. 2005, in A. M. Fridman, M. Ya Marov and I. G. Kovalenko (eds) "Progress in the Study of Astrophysical Disks: Collective and Stochastic Processes and Computational Tools'', ASSL series, 2005, Kluwer Academic Press (in press).